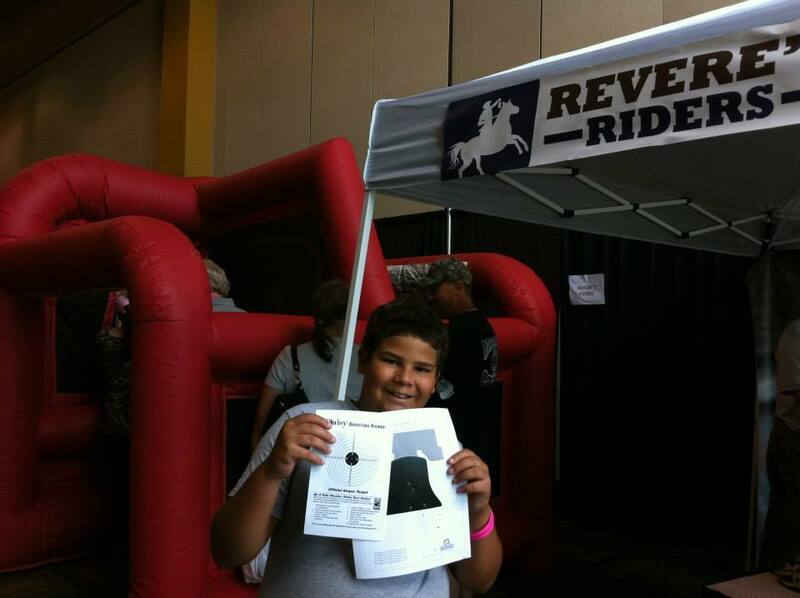 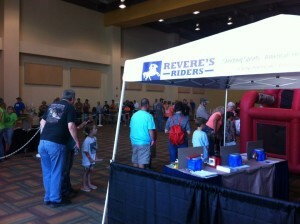 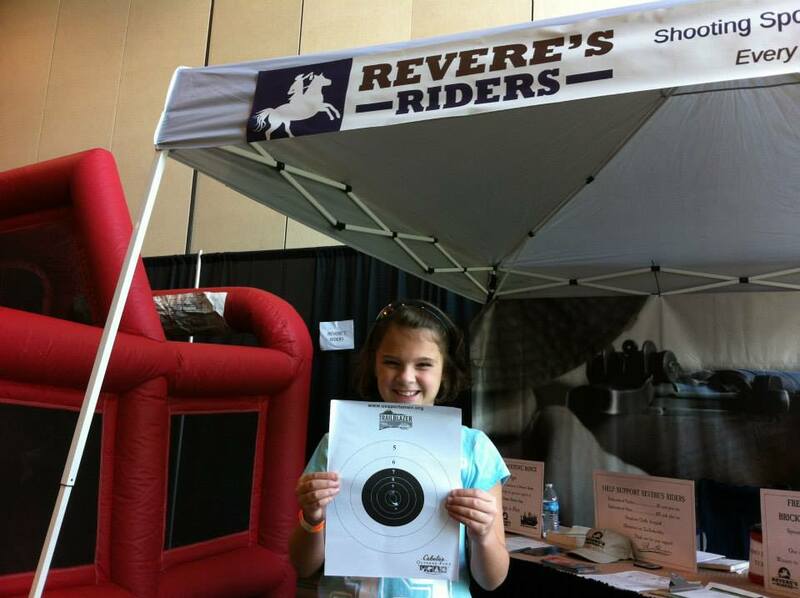 Revere’s Riders of Kentucky had a great showing at the 2015 Ultimate Outdoor Expo at the Kentucky Horse Park in Lexington last weekend! 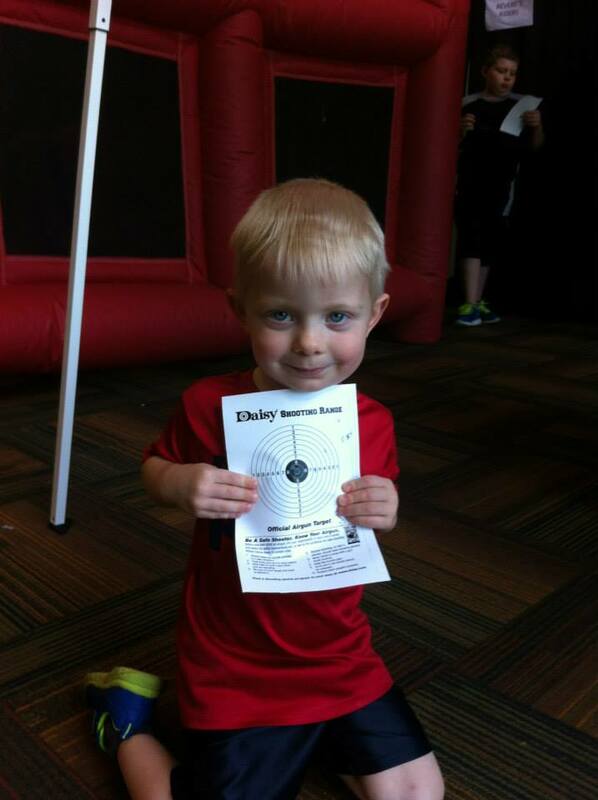 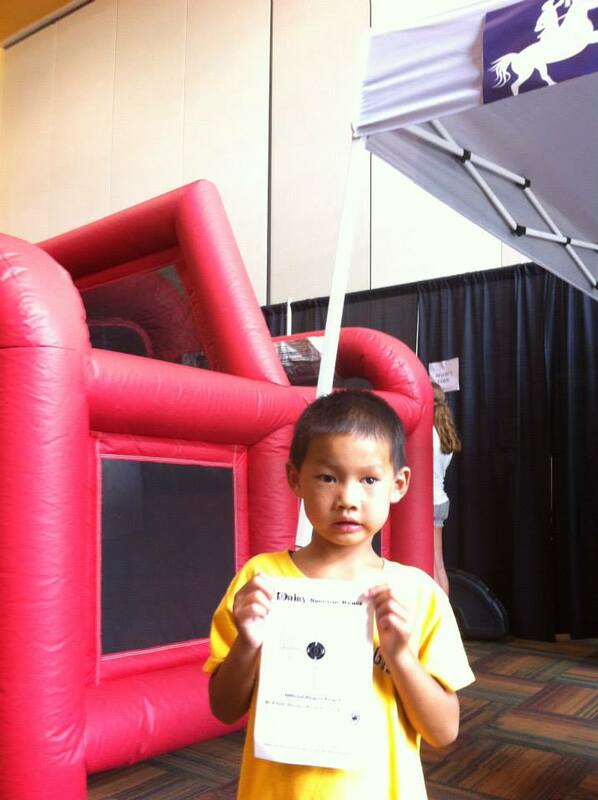 Nine volunteers showed up to support 268 shooters (mostly kids, and more than a few parents and adults!) 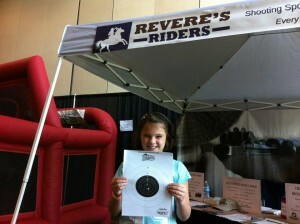 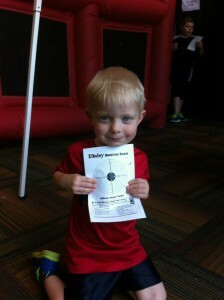 who learned the fundamentals of safe marksmanship at a BB gun range. 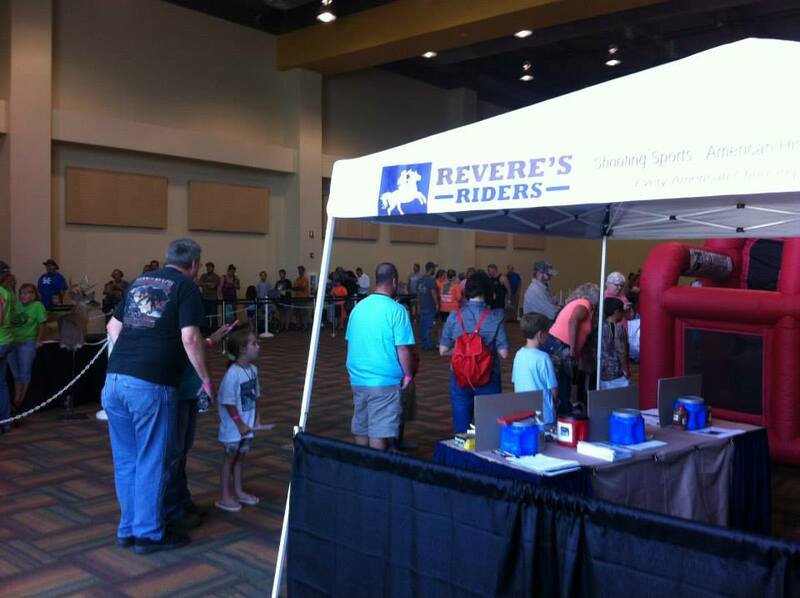 Volunteers also shared history about the American Revolution and had a variety of interactive exhibits for all ages including a Brown Bess musket like those used in the Revolutionary War period as well as an M14 demonstration rifle. 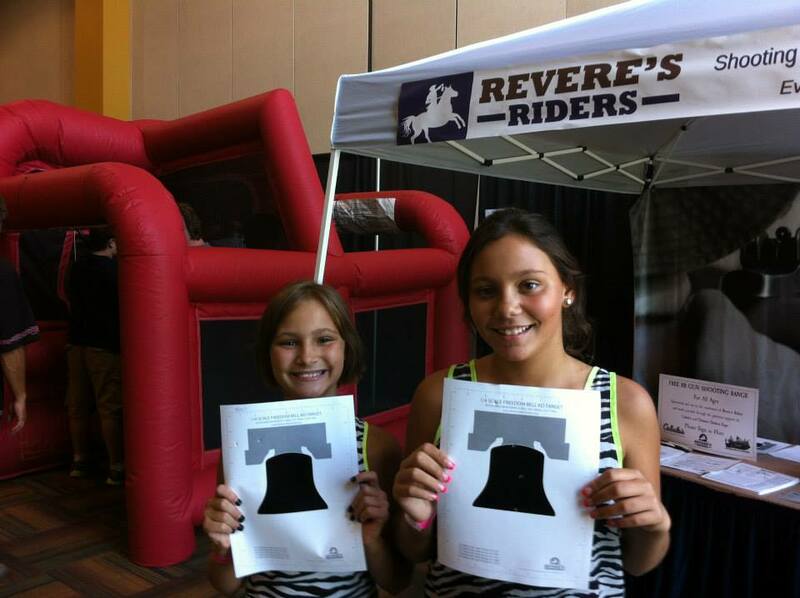 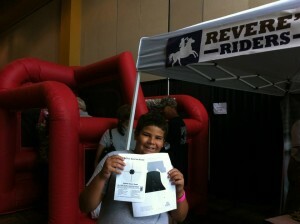 As part of the event, Revere’s Riders also gave away four copies of Longfellow’s classic poem, “the Midnight Ride of Paul Revere” as a way for families to engage with a bit of American heritage. 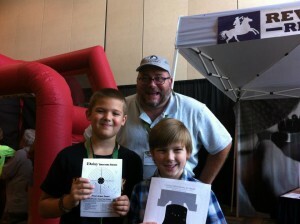 We also raffled off several bricks of .22 LR ammo! 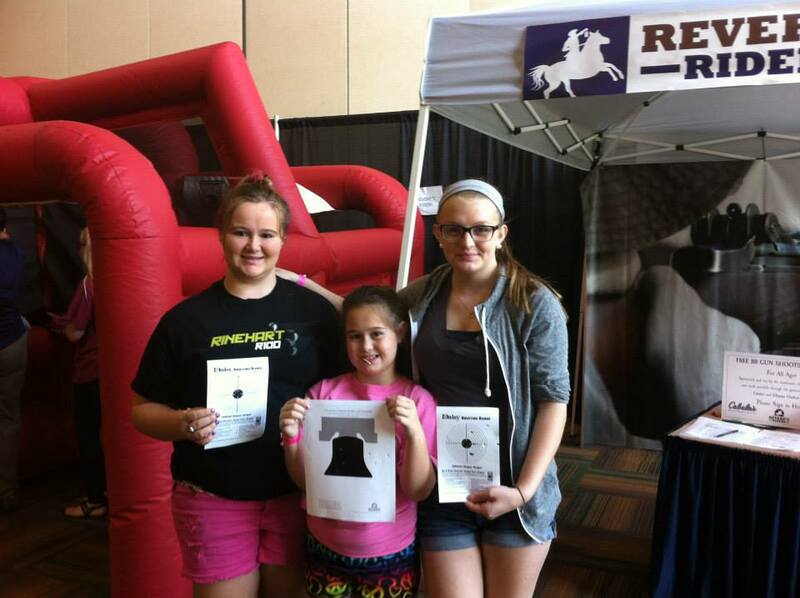 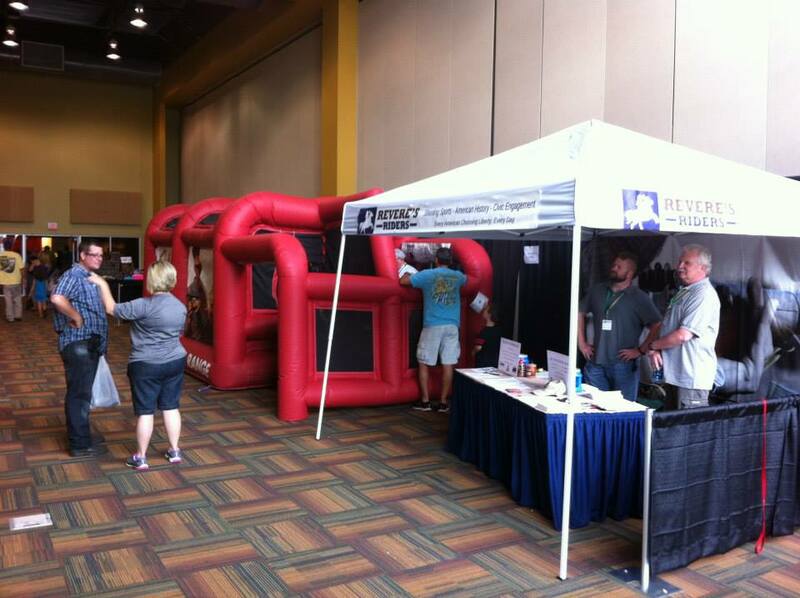 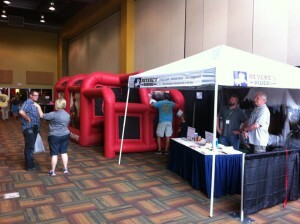 This event was made possible through the generosity of the Ultimate Outdoor Expo’s organizers, who donated booth space, as well as the Louisville Cabela’s in partnership with the US Sportsman’s Alliance who generously made an indoor air rifle range available, and the dedicated volunteers who staffed this event. For more photos and to comment, please check out our Facebook page!